5 bedroom, 4 bathroom villa in the Silver Creek community. 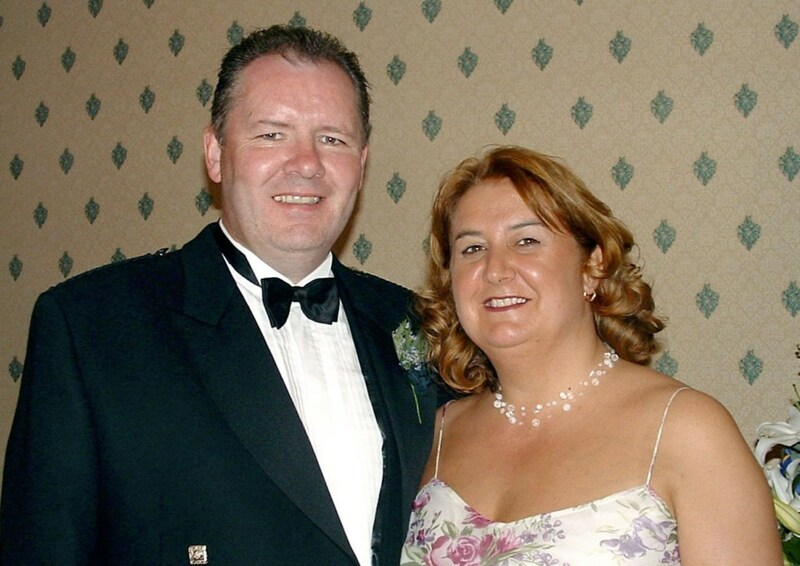 Owned by Alan and Morag Hutchison. Ref: 3391. THIS ONE’S GOT THE LOT: Close to Disney, South-Facing Pool, Lake View, CINEMA ROOM with 110 inch screen, PS3, Wii & Games Room, Complimentary use of GPS Sat-Nav System during your stay! Free International Telephone Calls! THIS LUXURIOUS VILLA TICKS ALL THE BOXES! Myself and my husband Alan have owned our lovely property in Orlando since 2008 and spend as much time as we can out there every year - usually for a total of about 3 months - we love the absolute the peacefulness of the area, but with the benefit of being so close to so many amenities and attractions, including some stunning local golf courses and of course Walt Disney World! This is one of the Orlando area's finest and most luxurious vacation homes and is available for short term vacation rental throughout the year. With 3 Master suites and 2 twin rooms, all of which offer en-suite facilities, you have lots of flexibility for larger families or groups. The villa can accomodate up to 10 guests. Of course we never forget our smaller guests with cots, strollers and high chairs and safety equipment all included. 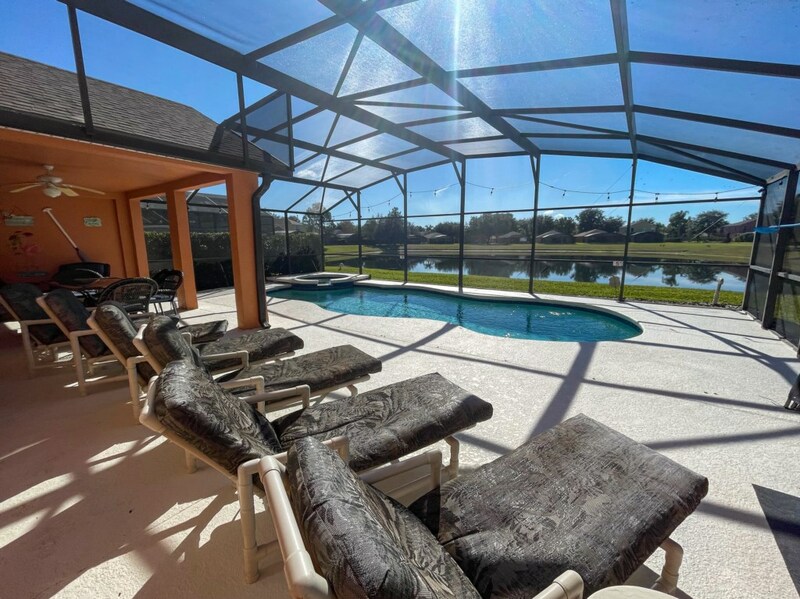 The villa benefits from being in a quiet wooded area, but is only minutes from the main 192 highway that acts as the main artery for tourism through the Kissimmee / Disney World Area. Being just minutes from Walt Disney World it offers a superb base for your Orlando Vacation. When it comes to features this Villa has everything you need: Large South-Facing 30x15ft Pool; Spa; Lake and Conservation View; Extended Sun Deck; 3 Master Suites; All bedrooms have EnSuite facilities; Close to Disney; Cinema Room with 110 inch screen and Dolby Surround Sound, Free Netflix Access, DVD Movie Library, Games Room, Playstation 3 and Nintendo Wii Games Consoles, as well as free WiFi Internet Access and free Local, National and International Telephone Calls. The house was built in 2005 and has 3 master suites and 2 twin bedded rooms which will comfortably accommodate up to 10 adults (plus 2 infants in cots0. For your entertainment enjoyment there is multi-channel cable TV and DVD in the main lounge area plus TV's in each of the bedrooms, as well as our Cinema Room with the massive 110 inch screen. Locally there is ample shopping and dining on Highway 27 - a Wal Mart "Supermart" is close to the junction to our street as well as a Shopping area called Cagan's Crossing which also has some nice restaurants and friendly bars. Hurricanes Bar Restaurant is at the end of our and is walkable - highly recommended. Just 2 miles away is the 192 strip which offers shopping and dining to everyone's taste. * All prices quoted are for the rental of the whole villa (i.e. not per person) for one week (7 days). UK Prices are inclusive of all taxes. * Maximum occupancy is for up to 10 adults/children and 2 infants (in cots). Cots are supplied free of charge. * A 20% deposit is required at time of booking. All deposits must be paid in full within 7 days. * Full payment is expected 8 weeks prior to arrival. * Pool heating if required is available at an optional charge of £80 / $160 per week. Your enquiry will be sent to villa ref 3391 only. This page has been viewed 29117 times since 22 May 2008.